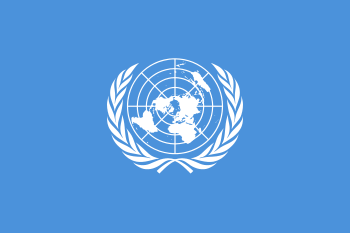 A United Nations resolution (UN resolution) is a formal text adopted by a United Nations (UN) body. Although any UN body can issue resolutions, in practice most resolutions are issued by the Security Council or the General Assembly. Most experts consider most General Assembly resolutions to be non-binding. Articles 10 and 14 of the UN Charter refer to General Assembly resolutions as "recommendations"; the recommendatory nature of General Assembly resolutions has repeatedly been stressed by the International Court of Justice. However, some General Assembly resolutions dealing with matters internal to the United Nations, such as budgetary decisions or instructions to lower-ranking organs, are clearly binding on their addressees. In practice, the Security Council does not consider its decisions outside Chapter VII to be binding. It has been proposed that a binding triad of conditions—a supermajority of the number of nations voting, whose populations and contributions in dues to the UN budget form a majority of the total—make a General Assembly resolution binding on all nations; the proposal has gone nowhere. United Nations resolutions follow a common format. Each resolution has three parts: the heading, the preambular clauses, and the operative clauses. The entire resolution consists of one long sentence, with commas and semi-colons throughout, and only one period at the very end. The heading contains the name of the body issuing the resolution (be it the Security Council, the General Assembly, a subsidiary organ of the GA, or any other resolution-issuing organization), which serves as the subject of the sentence; the preambular clauses (also called preambular phrases) indicating the framework through which the problem is viewed, as a preamble does in other documents; and the operative clauses (also called operative phrases) in which the body delineates the course of action it will take through a logical progression of sequentially numbered operative clauses(if it is the Security Council or a UN organ making policy for within the UN) or recommends to be taken (in many Security Council resolutions and for all other bodies when acting outside the UN). Each operative clause calls for a specific action. The last operative clause, at least in the Security Council, is almost always "Decides [or Resolves] to remain seized of the matter," (sometimes changed to "actively seized"). The reasoning behind this custom is somewhat murky, but it appears to be an assurance that the body in question will consider the topic addressed in the resolution in the future if it is necessary. In the case of Security Council resolutions, it may well be employed with the hope of prohibiting the UNGA from calling an 'emergency special session' on any unresolved matters, under the terms of the 'Uniting for Peace resolution', owing to the Charter stipulation in Article 12 that: "While the Security Council is exercising in respect of any dispute or situation the functions assigned to it in the present Charter, the General Assembly shall not make any recommendation with regard to that dispute or situation." The preambular and operative clauses almost always start with verbs, sometimes modified by adverbs then continue with whatever the body decides to put in; the first word is always either italicized or underlined. However, preambular clauses are unnumbered, end with commas, and sometimes do begin with adjectives; operative clauses are numbered, end with semicolons (except for the final one, which ends with a full stop/period), and never begin with adjectives. The name of the issuing body may be moved from above the preambular clauses to below them; the decision to do so is mostly stylistic, and the resolution still comprises a coherent sentence. United Nations resolutions can be both substantive resolutions and procedural resolutions. ↑ Legal Consequences for States of the Continued Presence of South Africa in Namibia (South West Africa) notwithstanding Security Council Resolution 276 (1970), Advisory Opinion of 21 June 1971 at paragraphs 87-116, especially 113: "It has been contended that Article 25 of the Charter applies only to enforcement measures adopted under Chapter VII of the Charter. It is not possible to find in the Charter any support for this view. Article 25 is not confined to decisions in regard to enforcement action but applies to "the decisions of the Security Council" adopted in accordance with the Charter. Moreover, that Article is placed, not in Chapter VII, but immediately after Article 24 in that part of the Charter which deals with the functions and powers of the Security Council. If Article 25 had reference solely to decisions of the Security Council concerning enforcement action under Articles 41 and 42 of the Charter, that is to say, if it were only such decisions which had binding effect, then Article 25 would be superfluous, since this effect is secured by Articles 48 and 49 of the Charter." 1 2 "The International Court of Justice took the position in the Namibia Advisory Opinion that Art. 25 of the Charter, according to which decisions of the Security Council have to be carried out, does not only apply in relation to chapter VII. Rather, the court is of the opinion that the language of a resolution should be carefully analysed before a conclusion can be drawn as to its binding effect. The Court even seems to assume that Art. 25 may have given special powers to the Security Council. The Court speaks of "the powers under Art. 25". It is very doubtful, however, whether this position can be upheld. As Sir Gerald Fitzmaurice has pointed out in his dissenting opinion: "If, under the relevant chapter or article of the Charter, the decision is not binding, Article [69/70] 25 cannot make it so. If the effect of that Article were automatically to make all decisions of the Security Council binding, then the words 'in accordance with the present Charter' would be quite superfluous". In practice the Security Council does not act on the understanding that its decisions outside chapter VII are binding on the States concerned. Indeed, as the wording of chapter VI clearly shows, non-binding recommendations are the general rule here." Frowein, Jochen Abr. Völkerrecht - Menschenrechte - Verfassungsfragen Deutschlands und Europas, Springer, 2004, ISBN 3-540-23023-8, p. 58. ↑ De Wet, Erika. The Chapter VII Powers of the United Nations Security Council, Hart Publishing, 2004, ISBN 1-84113-422-8, pp. 39-40.